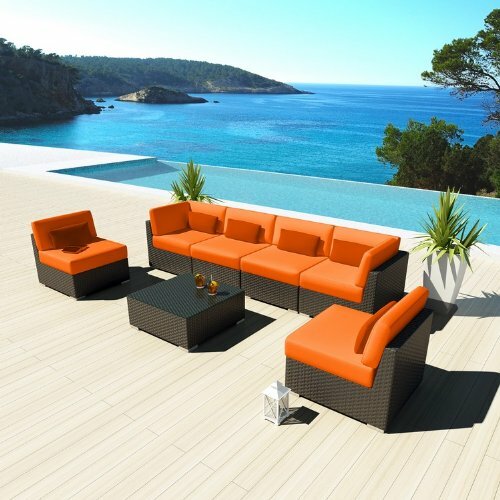 This stunning luxurious furniture will bring contemporary elegance for your garden. The Daly 7 sofa set may be set up in any manner you would like to form a wonderful environment for relaxing and entertaining. 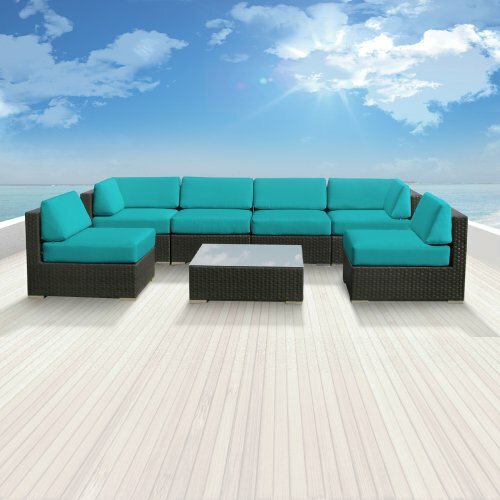 Made out of fully weather-resistant wicker material and aluminum, Daly 7 will endure the most challenging weather conditions and is also mildew and mold resilient. It is hand-woven with precision. The cushion covers can be taken off through a zipper and washed if needed. 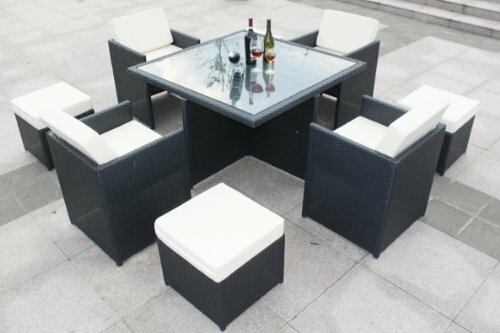 Well-suited for your garden or patio, this really is outdoor living in fashion. -We have 3 year warranty on our framework. -Our Modules are easy to manage and lightweight to handle. -Our Furniture does not rust or break down anywhere. -We design and construct specifically to suit US Climate. -They are easy to clean and maintain. 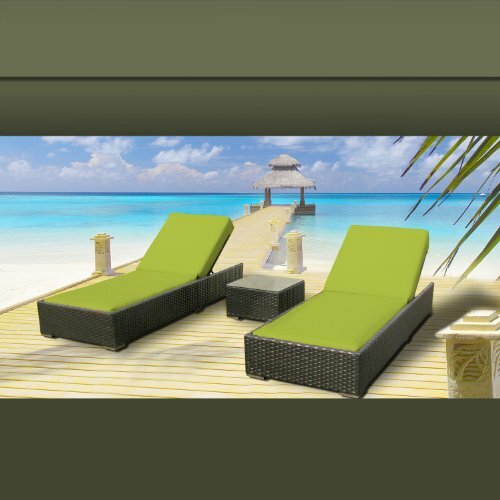 -All of our furniture can be keep outdoor or indoors. 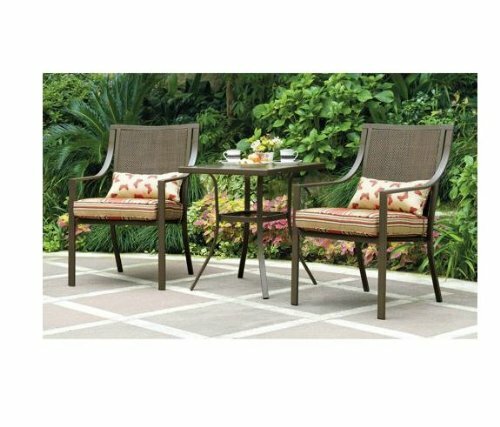 -Non-toxic, mildew, water, UV, crack and split resistant (Not Painted Wicker). -6 inch seat cushions and 7 inch backrest cushions for extreme comfort and longevity. -You can order additional set of covers in any color of your choice. 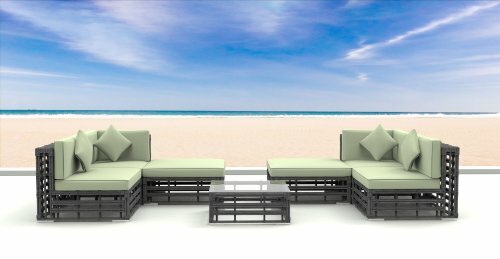 -Each cushion is designed with zippers for quick and easy wash.
-Sunbrella fabric offered as an upgrade. Feature:All Weather Espresso Brown PE Resin Wicker Sofa Set offers a modular design, that makes it possible for flexibility with numerous arrangement options. Feature:Curbside delivery with signature required. Expedited shipping available!